Starting at $87,050, the 2017 Mercedes-Benz SL epitomizes the energetic yet luxuriously equipped roadster. For the SL Convertible, the 2017 model year brings with it new aesthetics and features, including a restyled engine hood, 19-inch wheels, brand logo projection lamps for the exterior mirrors, all-red taillights, and much, much more. Available in new exterior colors, such as Brilliant Blue and designo® Selenite Grey Magno, the SL commands attention wherever it ventures. The 2017 SL Convertible comes in four awe-inspiring trim levels – each offering turbocharged power, sporty handling, and the freedom of the open road. Thanks to four potent engines, the 2017 Mercedes-Benz SL Convertibles range from 362 to 621 hp and from 369 to 738 lb-ft of torque. The SL 450 and SL 550 get a fresh 9G-TRONIC® automatic transmission, while the AMG® trims feature an AMG® SPEEDSHIFT® MCT 7-speed. On every SL, up to five new drive modes can be chosen via DYNAMIC SELECT®: Eco, Comfort, Sport, Sport+, and Individual. The Sport and Sport+ modes fine-tune throttle response, shift points, and optional Active Body Control® suspension with a CURVE function for a rambunctious drive. 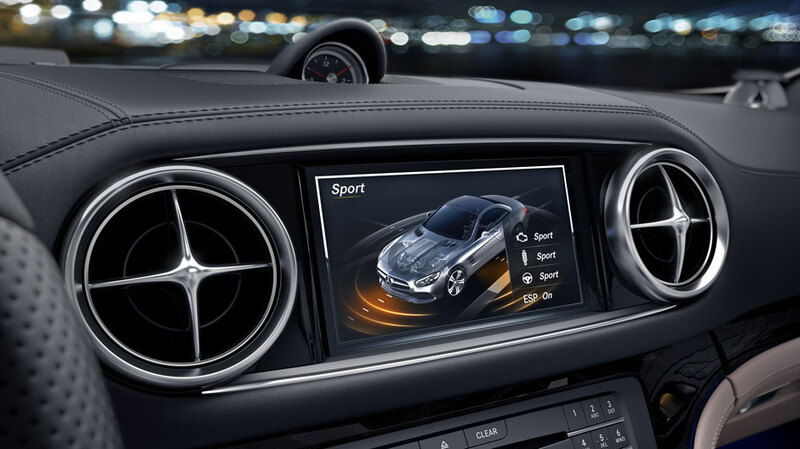 Meanwhile, AMG®-exclusive ESP® Curve Dynamic Assist helps the SL Roadster whip around corners with precision. From the entry-level SL 450 to the zenith AMG® SL 65, the SL Roadster comes decked out for the many journeys ahead. In under 20 seconds, the power-retractable hardtop with a built-in panorama roof disappears in the rear bulkhead, yet still leaves 8.5 cubic feet of space in the trunk. The power wind-blocker locks into position within seconds, letting you enjoy top-down cruising with minimal turbulence. Ideal for warm Alpharetta weather, the sun-reflecting leather upholstery astounds with intense colors like Bengal Red and Ginger Beige. Power front seats create and memorize your perfect seating position, while dual-zone climate control features separate controls for you and your passenger. Starting at $87,050, the SL 450 Roadster doles out 362 hp and 369 lb-ft of torque with its 3.0L biturbo V6 engine and 9G-TRONIC® automatic transmission at the helm. Equipped with a power-retractable hardtop, DYNAMIC SELECT®, a flat-bottom steering wheel, a COMAND® system, and all-LED exterior lighting, this entry-level SL is built to keep up the pace. 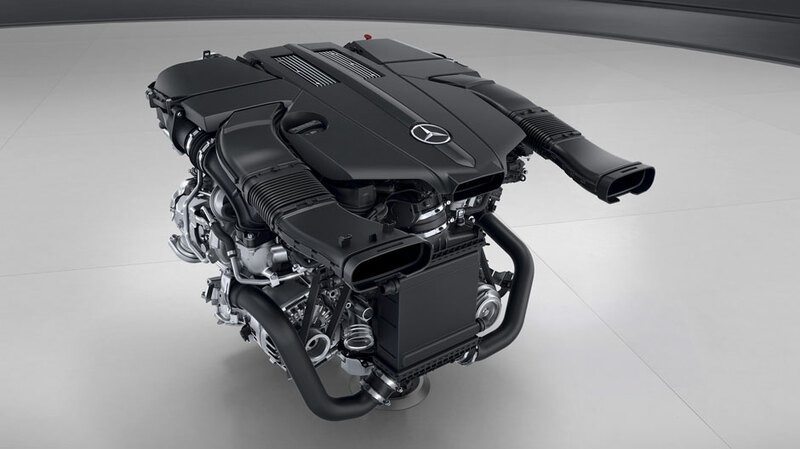 The SL 550 Roadster takes power up a notch with a 449-hp 4.7L V8 biturbo engine that produces 516 lb-ft of torque. For a starting MSRP of $110,300, the exterior gets grey-painted brake calipers and 19-inch AMG® wheels, while the cabin features an electronic trunk closer, KEYLESS GO®, and AIRSCARF® neck-level heating. Built with a handcrafted AMG® 5.5L V8 biturbo engine, the AMG® SL 63 Roadster – $151,350 starting MSRP – cranks out 577 hp and 664 lb-ft of torque. An AMG® SPEEDSHIFT® MCT 7-speed transmission, AMG® Performance Suspension, and an AMG® high-performance compound braking system are just a handful of race-derived features found on this powerhouse. Capable of hitting 60 mph in 3.9 seconds, the AMG® SL 65 Roadster is motivated by a hand-built 621-hp AMG® 6.0L V12 biturbo engine that produces a massive 738 lb-ft of torque. For a base price of $219,850, this colossus includes AMG® Performance Suspension with a 2-stage adjustment, polished 19/20-inch AMG® wheels, a panorama roof with MAGIC SKY CONTROL®, and a premium 900-watt sound system. Get the New SL at RBM of Alpharetta! As the top-tier two-seater in the Mercedes-Benz lineup, the 2017 Mercedes-Benz SL unleashes quintessential roadster performance every time you take the wheel. 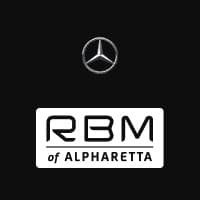 Get up close and personal with the legendary Mercedes-Benz SL Convertible right here at RBM of Alpharetta! Our showroom is conveniently located at 345 McFarland Parkway in Alpharetta, GA – just 20 minutes north of Johns Creek!